Possibly In Bedrock May Be able to find a way to get in with stone! NOT SMP Compatible, tell me if you want it to be. Unknown what type(s) of pickeaxe you need to break and recieve. Does not show up in Creative Inventory. Not yet tested with 1.3!!! Thank you SO much for 50 Downloads! I couldn't have gotten here without you! MOD REVIEW NEEDED!!! IF YOU MAKE A MOD REVIEW PM ME WITH THE LINK TO THE VIDEO!!! Slight Delay on New Mod, ModLoader Stuff changed. I'm hoping I can get it fixed soon. Bye! does this work with minecraft forge? you probably get that a lot. 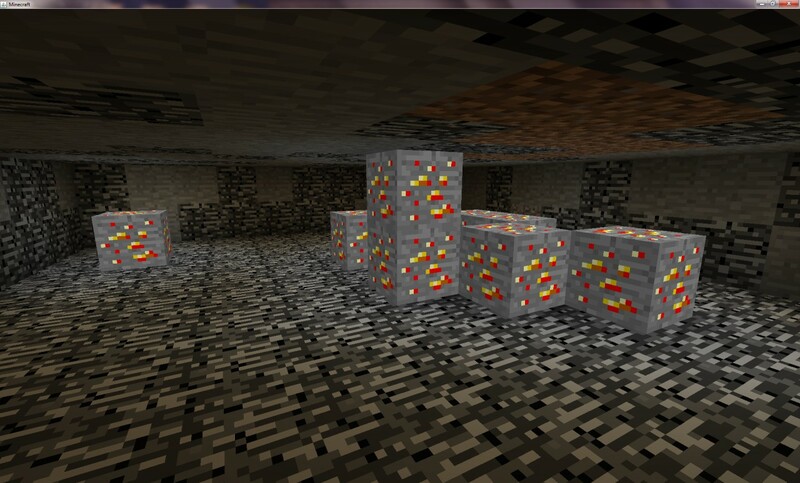 This would be awesome if you put it in the nether. This is my first mod, I don't know much about coding. Did you even make this? Yes, this is my mod. I don't believe people should copy because 1 person works really hard on, I dunno, complete a paper, and the other one just reads and writes.